That’s how it felt winning my IFBB Pro Card at this season’s Masters Nationals and then launching right into prepping for my first show as a Pro at the Pittsburgh Pro Masters this coming September. Well let’s just say that if I have nothing else packed, the first thing on my list is going to be my Beverly International supplements! I started this journey back in 2007 and many things have changed over the years. The one that hasn’t changed is that **Beverly International has been with me ever since I began and I’m not going anywhere without them! I never had any intentions to become a bodybuilder. When I started, I simply wanted to get back to a weight where I was comfortable in my body again. Not only was my balance off, I was also noticing premenopausal type symptoms such as hot flashes and mood swings. I was only in my early to mid 30’s so I knew this was wrong. My first trainer worked with me on balance and beginning strength maneuvers and prescribed cardio. I started tracking calories and serving sizes and getting a better handle on what exactly it was to eat for myself rather than blindly matching portion sizes with my husband. It didn’t take me long to master the basics again and soon I was on to trainer #2 who coached me in developing strength through heavy lifting and kettle bell training. I was fascinated by the connection between muscle function, development, and metabolic activity. My body was starting to do things I didn’t expect to see from a woman in her mid 30’s and I had to see if there was more to this. I had gotten hooked on Oxygen magazine and admired the physiques of the gals on the pages. They looked strong and healthy. I started to realize that these ladies were Figure competitors and I had to know what it felt like to train like that. 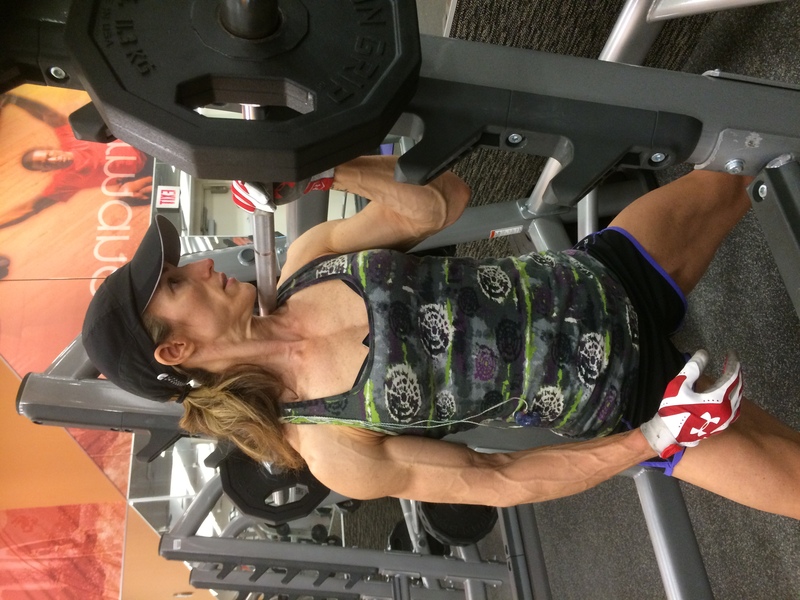 Enter trainer #3, an old school bodybuilder; she had competed in women’s classic bodybuilding and powerlifting. I told her I just wanted the experience of training “LIKE” a bodybuilder but had no interest in competing. Well that was enough of an open door for her. It wasn’t long before she was hounding me to compete. I had the symmetry and the drive so she encouraged me to consider it. I still remember the phone call I made to her one day while standing at the gas station filling up the car. “Are you just blowing sunshine up my skirt about me being right for bodybuilding or are you really being serious?” After she stopped laughing over the choice of words I had just used, she swore she meant every word so I gave in and we picked my first show. But I didn’t agree to compete because I wanted to be a bodybuilder. If you’ve ever talked to me about famous bodybuilders or people in the industry, you may have noticed a blank look on my face (and the sound of crickets in the background as you wait in silence for my response). To this very day, the truth is unless that bodybuilder is splashed all across mainstream media, I won’t know who he or she is. I didn’t get into this sport because I idolized certain people. Being an anatomy junky, it didn’t take me long to realize how well bodybuilding fit with my profession. 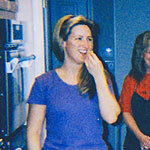 I’ve been a bodywork/massage therapist for over 19 years now. I love musculature. It’s this love and fascination of the human body that got me hooked on this sport. I don’t care who’s body those parts belong to, I just love seeing the human body develop! And where I’m concerned, I’ve been blown away by the changes. My husband asked me once why I didn’t follow the famous women in this sport. Well, in my opinion, her body is her body. My body will never look like hers so I never took an interest in that kind of following. Show me a generic photo of some nameless person with great shoulders, glutes, legs, back, etc. and I’m all over the article connected with it. I want the education and the knowledge of how to get the best out of my own body. I’m more fascinated with how I will look if I implement a plan as opposed to chasing someone else’s dream physique. In the process of chasing my own dream physique, I quickly realized I was going to need help. Preparing for a contest wasn’t your everyday style of eating and training. I was going to need help in metabolism and recovery (especially at 37 years old). I had a good trainer but I needed a nutrition plan. Suddenly I was facing uncharted territory: an ocean filled with protein powders, BCAA’S, pre-workouts, and fat burners. I knew enough about the human body to know that most of this at the local sport supplement store was pretty much flotsam and jetsam. I needed a company that actually cared about the people who used their product. Enter Beverly International. 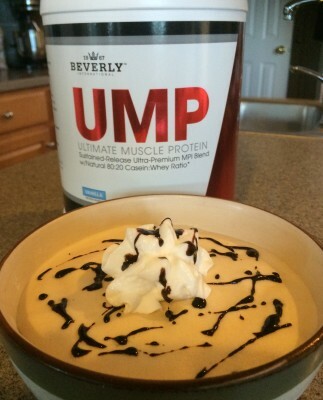 The first supplement I had been introduced to by trainer #1 was UMP protein powder. To this day, it’s still one of my favorites! Between the taste and the fact I actually felt I could see changes as a direct result of having it as part of my diet, I contacted Beverly International directly. I was able to speak to a real human being who actually sounded passionate about the product from more than a commission standpoint. We spoke at length about what my goals were and by the time I was done, I had my first stack of supplements geared towards my specific training program! Two years after this conversation, I won my IFPA card (International Federation of Physique Athletes is the professional level of natural bodybuilding’s amateur league, OCB – Organization of Competitive Bodybuilding). If I wasn’t hooked before, I certainly was now! I did one show as an IFPA Pro and pretty much got my booty handed to me. 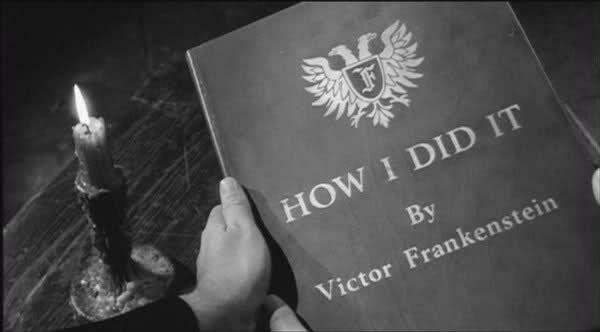 Up until now, I’d been writing my own diets and had gone as far as I knew how to go. It was time to get serious and hire a diet coach. In addition, since I’d scaled the mountain of that particular competing club, I figured, while I was at it and changing stuff up, I might as well go for what I considered to be the Mount Everest of competing organizations, the NPC/IFBB (National Physique Committee (NPC) is the largest amateur bodybuilding organization in the United States and its professional level is IFBB – International Federation of Bodybuilding and Fitness). Now I was on to trainer (& diet coach) #4, Jason Theobald of Scooby Prep. I was a little concerned when I first hired him because I had a comfort zone with Beverly International. I knew it worked for me and I was a little apprehensive the diet would come back with a bunch of supplement garbage on it. To my surprise and relief, when I opened my diet document, there were a host of Beverly International supplements (including my beloved UMP)! Well, that made me feel really good about hiring my coach! Obviously this man knew quality when he saw it if he’d recommend Beverly International! 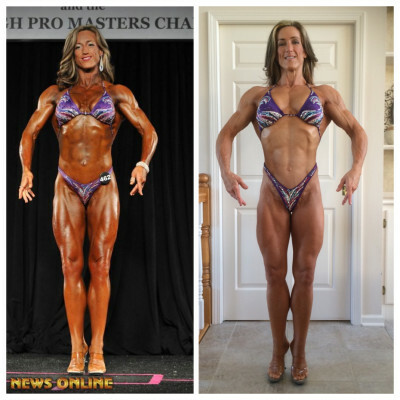 Four years after signing on with Jason ( my last and still my present coach), I finally claimed my IFBB Pro Card! Like I said, a lot of things changed over the years of this journey but one thing has stayed the same. Four coaches and two pro cards later, the core of my supplement program has always been Beverly International. Consistent and faithful. And we’re just getting started! 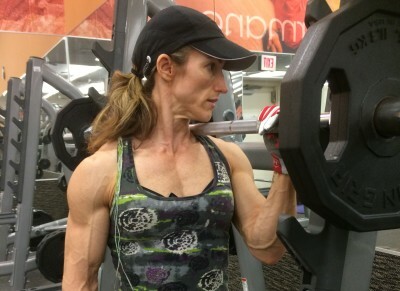 As a Figure competitor with short collarbones, my biggest challenge has been to create a great v-taper. Doing my best to widen my chest, back, and shoulders while tightening and narrowing my midsection has been a quest akin to hunting for the Holy Grail! For me, every upper body workout begins with 30 wide grip 1-½ pull-ups as a warm up. Begin with hands set wide and overhand grip on the bar. Start in full extension and pull up above the bar. Lower your body so your head just below the bar and then pull back up. This is one rep. Return to full extension and repeat the sequence as many times as you can (no kipping!). Rest when you need to but get in 30 total. 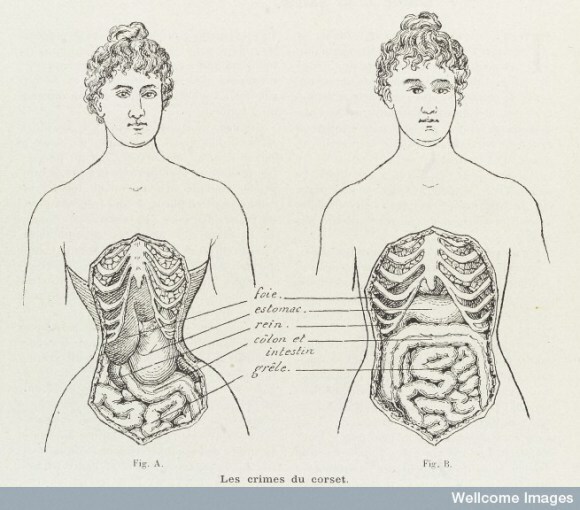 As for the waist, I’ve stopped using weighted abdominal exercises. Instead, I’ve implemented two kinds of abdominal work that have made big changes for me in just under 10 weeks! 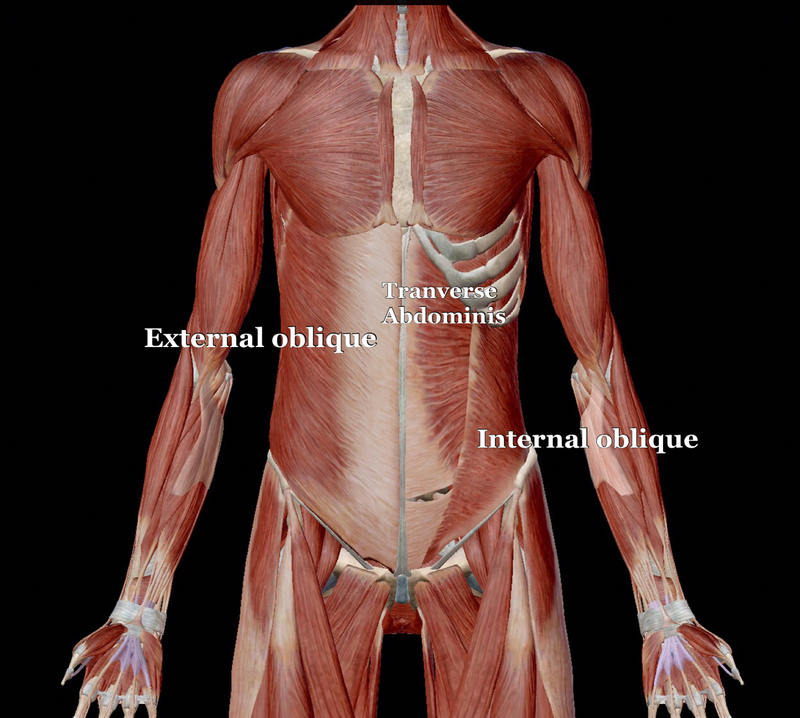 Transverse Abdominus muscle shown here after removing rectus and oblique abdominal muscles. Photo curtesy of Visible Body. “Shhhh… she’s had a hard workout. She’s probably sleeping.” Ha! Nope. I am doing my abdominal exercises! The beginning of this prep season I found an article about how the old school bodybuilders such as Frank Zane and Arnold Schwarzenegger trained to get tiny waists. The technique is referred to as “vacuum training” and may be done lying down, standing up, sitting, or even on all fours. 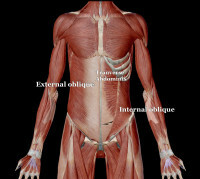 The muscle trained here is the transverse abdominis. 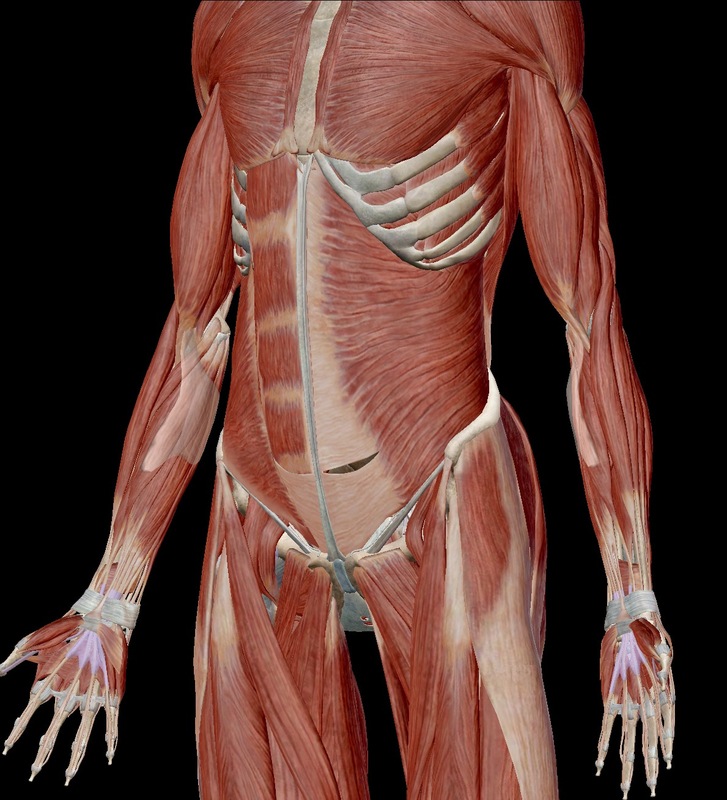 It’s the body’s deepest of the abdominal muscles and its function is to hold in and support the abdominal contents. By pulling the belly button in towards the spine as hard as you can and holding it there for a duration of time, you’re training the transverse abdominis to become tighter and better conditioned. The result is a smaller waistline and it’s easier to hold your tummy in while you’re on stage. Great thing about vacuum training is you can do it anytime and anywhere without folks knowing you’re doing it! I like to do it in the car on my drive home from work. I try to hold the vacuum for as long as I can or between certain major intersections just to make the drive home more entertaining. 2) it helps you get a better range of motion when you twist in your posing ostage which, in turn, contributes to the illusion of a smaller waist. Sit on an exercise ball that allows your knees and hips to be at 90-degree angles. You may do this just with your arms out or with a broomstick or dowel rod across your shoulders to support your arms. Keeping both feet on the floor and hips level, twist using only thepeat. I do 100 of these (50 per side). I also employ vacuum holding while I do so for the added benefit! So here’s a basic anatomical lesson in recovery. The body requires nutrients and oxygen to grow. These substances are carried within the bloodstream. Better blood flow within the musculature of the body equals optimal success in recovery, growth, and injury prevention. I know a lot of athletes who seek out training programs but have no idea that understanding recovery is vital to the success of their building new muscle and injury prevention! Challenging workouts and lifting heavy causes controlled damage to the musculature. That’s the goal. When the body repairs, it rebuilds using stronger, thicker fibers and voila, bigger muscles! BUT what many athletes don’t realize is that good blood supply is essential for this process. Stretching following your workout is necessary to stimulate the body to lay down tissue that requires oxygen. It lets the body know you plan to use that range of motion again. 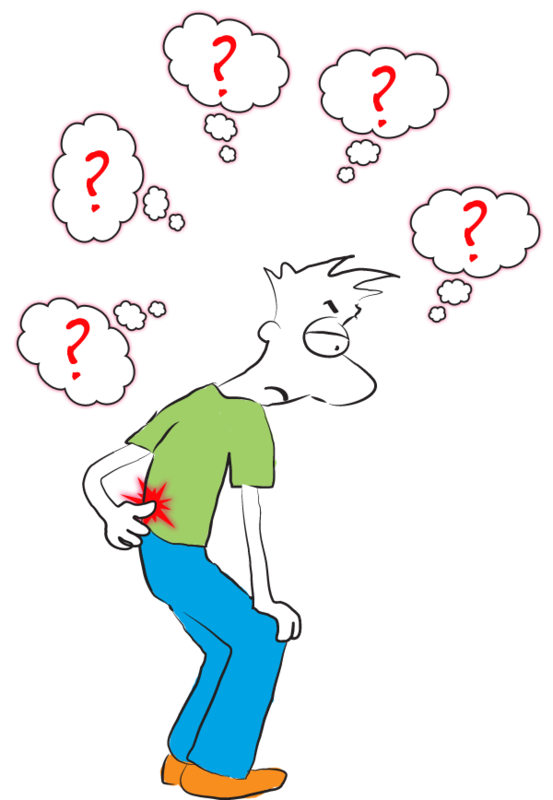 Failure to do so results in the body laying down scar tissue (a cellular form that requires little oxygen). This scar tissue is less pliable and has very little blood supply. 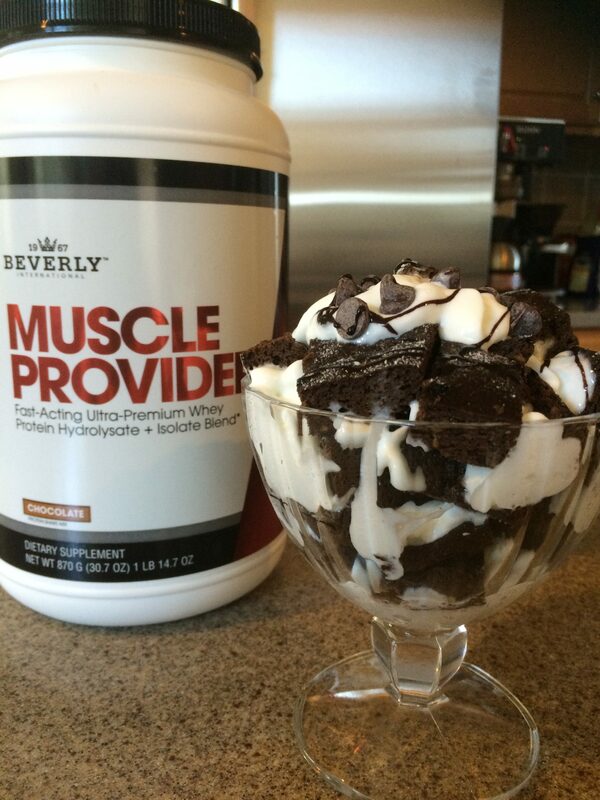 So for a bodybuilder, this is not desirable. The more oxygenated tissue in our bodies, the better pump and more size we score. Musculature riddled with scar tissue isn’t as pliable, risks injury, and will have difficulty achieving pump and growing in size!For me, I’ve noticed how effective stretching has been in preventing injury as well as supporting growth factors. Legs in particular tend to take quite a beating between HIIT workouts and heavy lifting. If you’re noticing knee or hip pain, there’s a good chance you’re sporting tight quads. I am not a fan of foam rollers as they tend to be too hard and folks tend use them with all the finesse of a person who doesn’t know the first thing about making pastries wielding a rolling pin in a pie shop. A much more effective tool to help soften leg muscles is actually a 2-4# medicine ball (especially if it’s slightly underinflated). They have some amount of give to them that allows the body to softenand not armor itself against the attack of the rolling pin. Using a 2-4# medicine ball, place the ball on the mat, and using your body weight, position the ball in the thickest part of the muscle. Slowly roll on the ball allowing your body to relax into it while you roll. 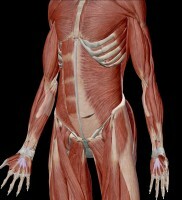 You can even trace individual muscles or between muscles. Now this part is key! You must follow this rolling with a stretch of 30 seconds to 1 minute. 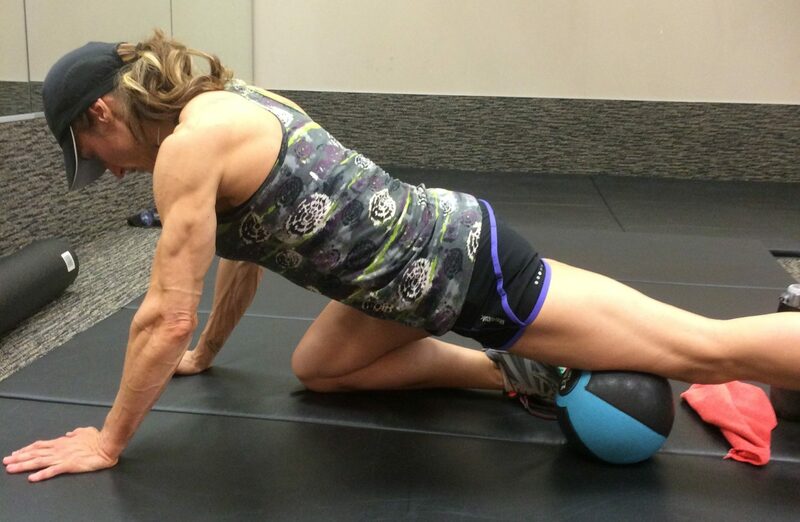 You may even maintain contact with the ball while stretching in order to intensify the stretch. Stretching following rolling increases blood flow and range of motion limiting how much scar tissue the body will use to repair the damage done by your workout. Also, if you’re incapacitated, you certainly can’t get the most out of your gym time. Workouts can cause a myriad of problems if you don’t take time to stretch afterwards. 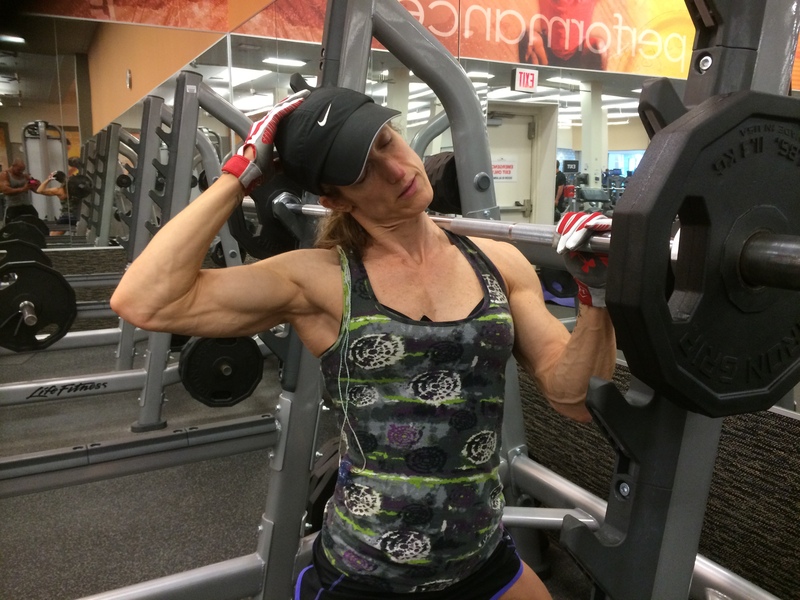 For me, a hard back or shoulder workout can quickly translate into a migraine. To prevent this, I need to take time to stretch my neck and traps after these demanding gym sessions. Head to the squat rack and position the bar so you can press up into it. Weight the bar at both ends so you don’t knock it off the rack while you’re stretching. 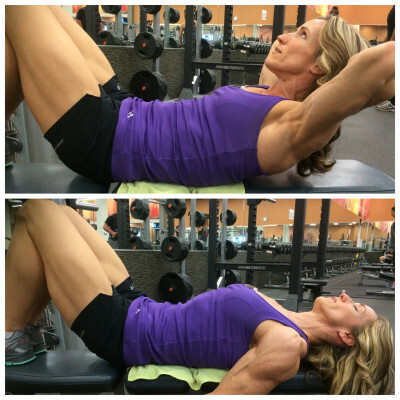 Put the muscle into a lengthened state and engage the bar. While engaged, put the muscle into a contracted state and sink the bar gently into the softened muscle belly. 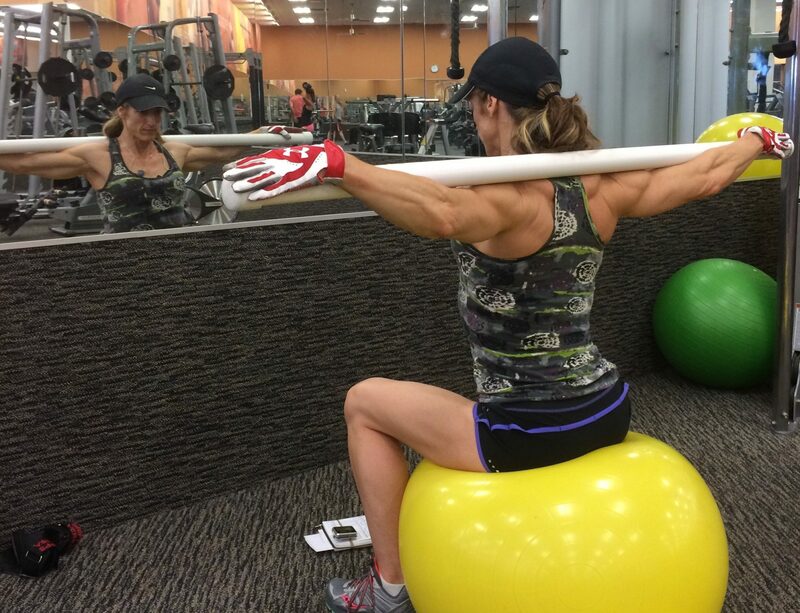 While engaged with the bar, gently traction the muscle using the bar toward your shoulder. Slowly lengthen the muscle and stretch while the bar holds the muscle in place to maximize the stretch. 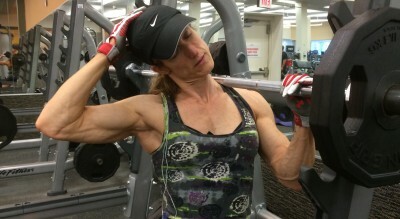 Reposition bar and repeat the length of the muscle as many times as needed for post workout relief. How you pose and your suit can make or break you in a second! Don’t believe me? The two photos taken were shot within a week of each other. How is it I look like I’ve made massive developmental changes? If you take a look at the two photos, you’ll notice how much higher I’m holding my chest. In the photo on the left, I’m not standing up as straight. In the photo on the right, I’m pulling up hard like there’s a string attached to my sternum and pulling me up. The result is an arch in the low back and stretching out the abdominal area that, in turn, lends to the illusion of a narrower waist! As for the suit, a prime mistake most competitors make is not pulling up the sides of the posing trunks high enough or, even if you do pull them up, failing to glue them in place so they don’t slip. Look again at the two photos. The left photo shows trunk sides below the belly button. This makes the legs look short and the waist look thicker. The right shows them parallel in line with the belly button. This adds to the illusion of an accentuated v-taper, longer legs, and smaller waist! Let this be a lesson. Glue those suckers so they stay where you put them! I got into competing to see what my body could do and man, have I learned a lot! After every contest, I love going over the elements of the journey. I learn something new about myself every time and I’ve grown not just as a competitor but also in life in general. Win, place, or show, I encourage you to enjoy the ride. Take the time to look at where you’ve been and what you’ve accomplished regardless of if you have hardware in your hands for the effort. My ultimate goal every time has been to learn something about myself that helped me to grow stronger in life. If you can do that, you’ve won! Fortunately for me, I like to arrive early for a lot of things including Peak Week. As a result, I don’t do a traditional Peak Week because I’m already stage ready. I just stick to my weekly prep. I stick to the basic meats and starches. For variety, I swap out my veggies. I use onions, cabbage, Brussels sprouts, asparagus, celery all for good crunch and satisfaction. Another trick for changing up my menu is the vast variety of spice mixes I have on hand. Broccoli, rice, and chicken can go Mexican, Cajun, or Asian quickly with just the shake of a spice! I also love quantity, which is why I save carbs for popcorn. I love eating it one piece at a time and I split a bowl of it almost every night with my husband. It gives us both the feeling of something normal when we can share a treat in my contest prep! And as for sweets, thanks to Beverly International’s protein powders, I’m never at a deficit! All values are pre-cooked with the exception of the rice. Spray foil with cooking spray. Seal sweet potatoes & one ice cube in foil packet & bake at 400 degrees for 55 minutes (yes, they’ll burn a little but that’s ok – you want them to caramelize). Leave sweet potatoes sealed in foil pack until they cool (keeping the moisture in the packet will help release the caramelized potatoes from the foil). I’ll prep 4 pkgs of these at a time & keep them in the fridge to make one batch of brownies each day. Mash baked sweet potatoes thoroughly then mix together with Muscle Provider, baking powder, stevia, cocoa powder, & vanilla until blended well & no hunks of sweet potato remain. Add in enough coffee to make a pourable batter. Pour mixture into a dish sprayed with cooking oil. Put baking dish in a cold oven & set temperature for 375. Bake for app 25-27 minutes. Eat the whole thing! It’s one serving for your meal! If you want to share or save some for later, just split the macros below. You can make this with as little as 125g of sweet potatoes or as much as about 175g. More or less than that and it tastes a little starchy or consistency is a little lacking. Add 15g Ghirardelli semi-sweet chocolate chips to the batter before baking and top with fat free whipped cream just before eating! I’ve made 4 batches at the same time when traveling and just cooked them all in a 9×16 pan. Then did my best to cut them into 4 EQUAL serving days (refrigerate unused portions). You’ll be testing your willpower with this approach, however, trying not to mooch some from the next day because they’re that good!!! You’ll need a beast of a blender to pull this off. I have a VitaMix so if you haven’t invested in one yet, you might want to consider it. Put all ingredients in the blender. Start blending speed on medium-high and use plunger to keep pushing ingredients towards the blades. Use more water if you need but this mix should be VERY thick and will take a little time to work into the blades. 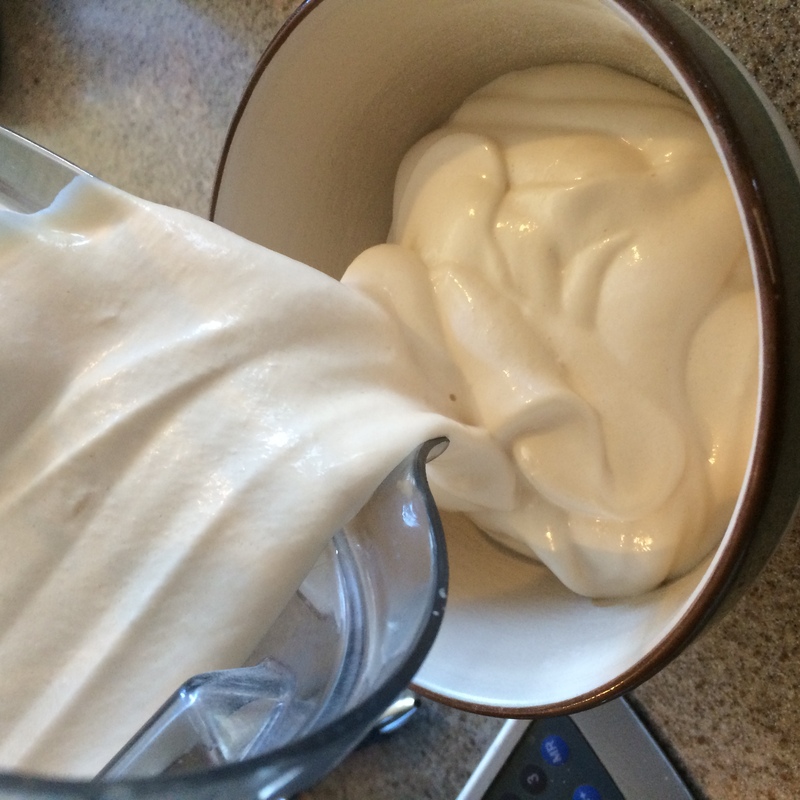 Keep mixing until smooth and a steady vortex forms. You will also notice the mix doubles in size (let’s hear it for increased volume – HOORAY!). Using spatula, scoop out ice cream. Eat right away or freeze for up to 2 hours for a firmer set. No blender? Skip the ice and cauliflower and add just enough water to get the mix to a pudding-like consistency. 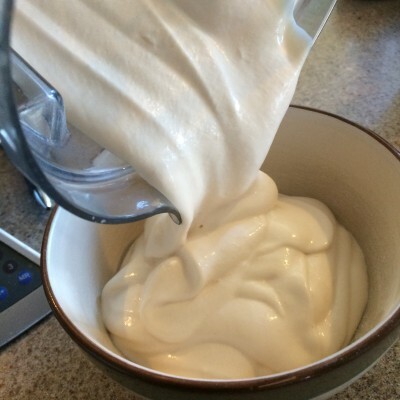 Blend all ingredients using a whisk and freeze for 2 hours. 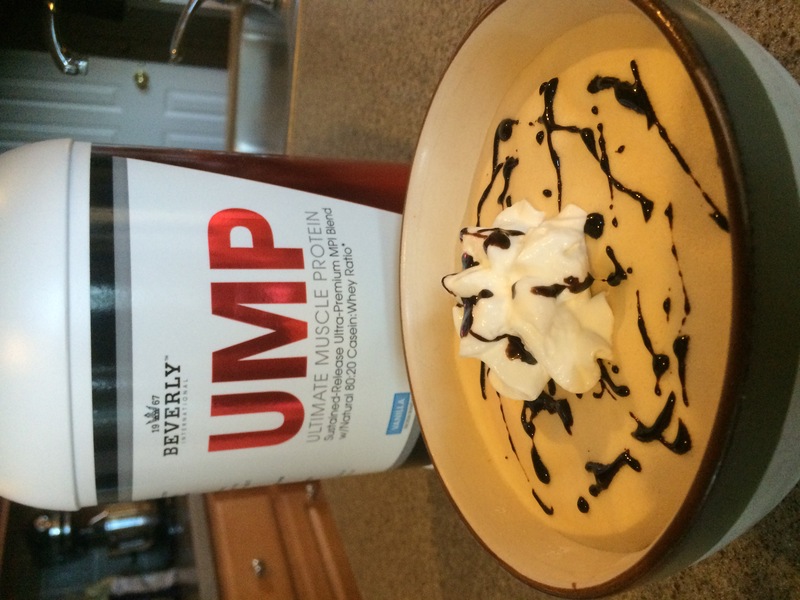 Favorite supplements: By far my favorite supplements are the Muscle Provider & UMP protein powders. They not only satisfy my need for sweets but they incorporate into numerous recipes so you don’t feel like you’re missing out! The added bonus is you’re supporting your gains and recovery while you’re treating yourself to something delicious! Music: I listen to classical and new age music all day so when I hit the gym or am in my car, it’s heavy metal for this girl! « Look, Ma, No Squeem! taboo matter but usually people don’t talk about such topics.